The bond manager compares rating the Fed's moves at this point to jumping out of a 20-story building and falling 18 stories. Gundlach says the effects of the Fed's "extreme policies" have yet to be felt. DoubleLine Capital’s Jeffrey Gundlach, the bond manager who has beaten 99% of his peers over the past five years, said the full impact of the Federal Reserve’s “extreme policies” have yet to be felt in the market. Gundlach, who manages the $46.2 billion DoubleLine Total Return Bond Fund, has beaten 99% of peers over the past five years, according to data compiled by Bloomberg. He said last month that if the Fed increases interest rates by mid-year, they would have to reverse course. On Sunday, he said that the probability of a rate increase by the Fed in June is very low, because the economic data doesn’t support such a move. “I think the Fed would like the data to corroborate their ability to raise interest rates but it isn’t there yet,” he said. 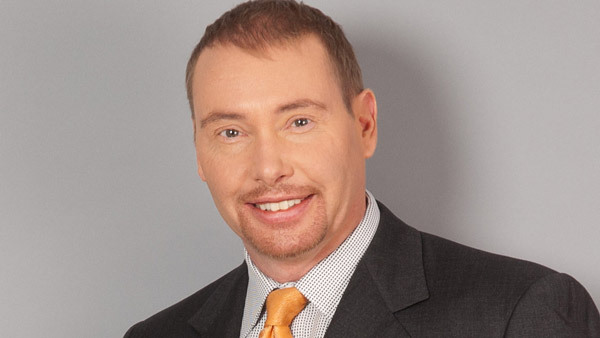 Gundlach started Los Angeles-based DoubleLine in 2009 after he was ousted as chief investment officer of TCW Group amid a dispute that led to a legal battle. — Check out Gundlach: Fed Won’t Raise Rates if Dollar Goes Higher on ThinkAdvisor.